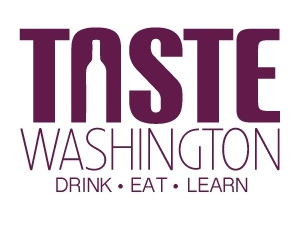 Taste Washington is coming up this weekend! Here are some ways to make the most of this year's event, which is truly the ultimate celebration of Washington wine. There are a series of educational seminars Saturday and Sunday morning exploring everything from food and wine pairing to Washington's oldest AVA to comparing Washington to some of the world’s best wines. Read the full list of seminars here. I’m moderating two seminars this year. The first (Saturday) is ‘Introduction to the World of Wine’ – truly an introduction to the world of Washington wine. We’ve got a great lineup of panelists including geologist and terroirist Kevin Pogue from Whitman College and VinTerra Consulting (hearing Dr. Pogue talk about Washington’s terroir is worth the price of admission alone); Thomas Hennick-Kling, head of Washington State University’s viticulture and enology program; Linda Murphy, whose long list of accomplishments over the years includes the recent book American Wine (written with Jancis Robinson); and Master Sommelier Thomas Price of Seattle’s The Metropolitan Grill. If you or someone you know is interested in beginning to learn about Washington wine, this seminar should provide an excellent entry point. The second seminar (Sunday) is ‘All Mixed Up – The Art of Blending.’ This seminar will focus on how winemakers approach creating blends, one of the hottest categories of wine right now. We’ve got a superb group of panelists including winemakers Brian Carter (Brian Carter Cellars), Dave Merfeld (Northstar), and Mike Macmorran (Mark Ryan Winery, Force Majeure, and Manu Propria). We’ll also have retailer Doug Charles of Compass Wines and sommelier Tom Thompson of Tulalip Resort offering their insights. And, of course, we’ve got a great lineup of wines (see the list here). Hope you can join us! As with last year, the Grand Tasting takes place over two days. You can attend one day ($80/$145 VIP) or two ($125/$185 VIP). The lineup will be the same both days, but this means that you can potentially sample from a larger number of wineries or not feel as rushed if you decide to attend both days. There are over 225 wineries represented at Taste Washington, so it is only possible to taste wines from a small fraction of them even if you do go both days. You can take a walk and wander approach and taste at wineries as you come across them, or you can have a specific plan of attack. The conference center is a massive place and the layout can be a bit confusing at times when you are looking for a particular winery or restaurant. Make sure to check out the map of the event in the event guide to help get oriented before you go. The great thing about Taste Washington is that you are able to taste a large amount of Washington wine in a single setting. However, you can taste even more wine if you make a point to spit most of it out/dump wine during the event. In previous years there have been spit cups and buckets placed everywhere throughout the event hall. If there are not this time around, grab a cup from the espresso bar and use it to spit into and then pour into the dump buckets. You’ll have a much better time (and a better recollection of the event the next day!). Regardless of whether you spit or not, I strongly advise taking a cab to and from this event. There’s a lot of great food (see the list of over 60 participating restaurants here) at the event so make sure to take advantage of it. In particular, check out the oyster and chowder bar which has a seemingly endless supply of oysters. If you are a vegetarian, it can sometimes be somewhat difficult to find food at times, so keep that in mind and plan accordingly. There is a section devoted to vineyards where you can sample wines made from a single source across multiple producers. Vineyards represented this year include Sagemoor, Clifton, StoneRidge, and Upland. See the complete list in the program guide. This area tends to be pretty quiet so you can taste a number of wines reasonably quickly and talk to people about their vineyards. Some wineries bring special treats for their Social Media fans. Keep an eye out on Facebook and Twitter before and during the event for special 'under the table' wines. If you’re tweeting during the event, use the hashtag #TasteWA. Below are a just few wines being poured at the event that I have either had before and recommend checking out or am hoping to try. For each of these lists, I only picked one wine from the producer. Feel free to comment with your own list (or, of course, keep it very, very secret). The past few years I've been at TasteWA I have always hit up the the "big name" wineries (most of the recommended list above). However every year the one thing I take away from the event is how impressed I am with the wines from the smaller, lesser known wineries that I've never visited before. Sure, the big names have some good wines, but the "under the radar" wineries are why I'm going and who I'm going to visit exclusively this year. With over 750 wineries in the state now, there are so many great wines that have received zero press coverage or been reviewed, and I'm going to spend my time with them rather than the big names seen above. Plus the added benefit of not going to the big name wineries is that there are often short lines or no lines at all! Great tips, Sean. My tip for attendees is to download the program in advance and scan it. It can be downloaded here. What I like to do is to look for unusual and less common wines that are being poured and to try those, especially ones that I like. What I do is open the pdf file and perform finds to search it. Cabernet Sauv?...no problem, there are well over 100 of those being poured but Mourvedre?....there are only 3. Malbec? Only 15. Rose'...only 7. So if you are seeking a specific type of wine to taste, this can be a very useful trick. The program also lists the food being served at the events and provides a map and location listing for each vendor. So scanning this in advance is very useful. And mouth watering! I'm looking forward to it!